A well-chosen background can help to highlight the key part of any design. It’s like the theatre on which your design performs. Whether you’re designing a website header, social media post, mobile app, or a greeting card, choosing the right background will go a long way towards making your design look more creative and unique. Which is why, as designers, you should always be adding all kinds of different backgrounds to your collection of resources. It will allow you to add variety to your designs and make each piece stand out from the rest. Be sure to consider these beautiful wavy backgrounds and textures. You can download them all for a single price when you subscribe to Envato Elements. This beautiful bundle of wavy backgrounds includes 10 different background designs featuring vibrant colors and smooth flowing waves. The backgrounds are available in 4500 x 3000 px resolution and in JPG file format. They will fit in nicely with your modern website designs, app backgrounds, and social media designs. This collection of backgrounds feature unique wave designs that almost gives them a mosaic look and feel. The pack includes 60 different backgrounds with various colorful styles and wave designs. They are perfect for website backgrounds as well as for crafting social media profile covers. A set of modern wavy backgrounds that comes with gradient color designs, which are ideal for designing backgrounds and graphic designs for creative startups and agencies. The backgrounds in this pack come in JPG, EPS, and AI file formats. The particle-based wavy designs in these backgrounds make them most suitable for crafting backgrounds for innovative and technology-based websites and apps. It includes 10 unique backgrounds with different designs and they are available in 5000 x 3333 resolution JPG files. Another collection of modern wavy backgrounds featuring 3D-like designs. These backgrounds feature minimalist and colorful designs that will allow you to showcase products and information more easily in your designs. The bundle comes with 10 different backgrounds. Featuring attractive striped waves, this collection of wavy backgrounds comes in various colors and styles. It includes 10 different backgrounds in 5000 x 3333 px resolution. This bundle of wavy backgrounds comes with colorful designs featuring a grunge-like effect. These backgrounds are perfect for use with all types of design projects from website backgrounds to business cards and posters. It comes with 8 different backgrounds. The verticle wavy design makes these backgrounds look similar to ocean waves. It also features an attractive flat colored design, making the backgrounds a great fit for social media and website designs. It includes 10 backgrounds in 3000 x 2000 px resolution. The creative backgrounds in this bundle feature a unique wavy design that creates depth, which will be quite helpful in product and portfolio showcases. The pack includes 10 backgrounds in JPG format. 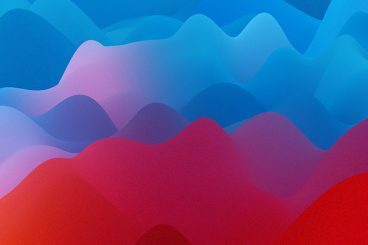 This is a massive bundle of 80 wavy backgrounds, featuring 10 unique backgrounds in 8 different color variations. It includes backgrounds you can use in various design projects, including startup website designs, luxury brands, social media posts, posters, and much more. This is a collection of seamless pattern textures you can use to craft unique backgrounds of your own. It includes 3 unique vector pattern textures that are perfect for designing packaging, business cards, greeting cards, as well as T-Shirts, mugs, and much more. Another bundle of pattern textures that includes handcrafted designs. The backgrounds in this pack feature line-based designs, including ones with chevrons, waves, straight lines designs. It includes a total of 6 pattern textures in EPS and PNG file formats. This bundle comes filled with beautiful wavy backgrounds featuring gradient colors. It includes 10 unique backgrounds in JPG format. You can use these to design website backgrounds, social media covers, blog headers, and more. Featuring line design, this collection of wavy backgrounds come with tileable designs. Which allows you to use them either as backgrounds or as patterns to craft your own backgrounds. You can use them to design packaging, wrapping paper, card designs, and more. It includes 5 designs in 9 color variations. The unique liquid design of these wavy backgrounds makes them truly one of a kind. These are perfect for crafting backgrounds for luxury brands and high-end products. The pack includes 24 unique backgrounds with colorful designs. If you’re looking for a minimalist wavy background, this bundle will give you plenty of options to choose from. It comes with 10 unique minimalist backgrounds and in 10 color variations. They are ideal for everything from website backgrounds to business card designs and more. This is a collection of unique backgrounds that feature designs that gives them a sort of melting look and feel. The backgrounds feature rounded lines that also creates a subtle wavy design. It includes 76 different backgrounds with various gradient colors. If you’re working on a technology-themed website or an app, this collection of backgrounds will come in handy. It includes 10 unique backgrounds featuring various design styles, including wavy, particles, dots, and polygon. The backgrounds are available in AI and EPS formats. A massive bundle of 50 different wavy backgrounds featuring network lines designs. This pack includes various grandient color backgrounds you can use to craft website headers, posters, social media covers, and more. Aqua soft is a collection of abstract backgrounds featuring wavy designs. This bundle features aqua-themed background designs. It includes 28 tileable backgrounds that are available in both textured and clean variations. The minimalist wavy backgrounds in this bundle include 4 unique line-based wave designs that are available in 17 different color variations, a total of 68 backgrounds. The backgrounds are available in 4500×3000 px resolution JPG files. A set of abstract wavy backgrounds featuring a polygonal design. The bundle includes 40 different backgrounds in 3000 x 3000 px resolution. You can use them to craft website and app background designs. For more inspiration, check out our geometric and polygon backgrounds collection.